HVLS Fans (High Volume Low Speed Fans) is the new solution of energy saving to solve the ventilating or cooling problem of large space. 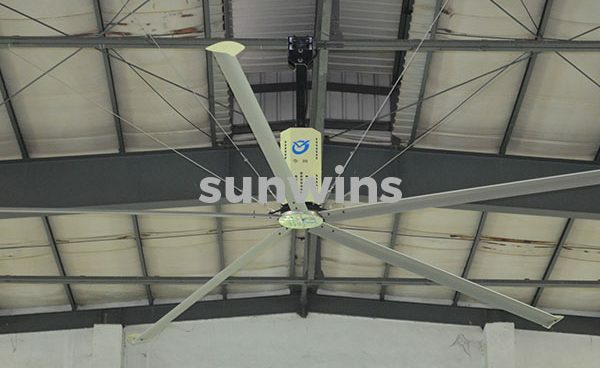 Our large energy-saving ceiling fans comes with maximum diameter of 7.2 meters, apply the HLVS principle and advanced technology manufacturing. Our HVLS Fans takes only 1.5 KW or less power to cover area of 1,450 meters square, which equivalent to the effect of 30 small fan. 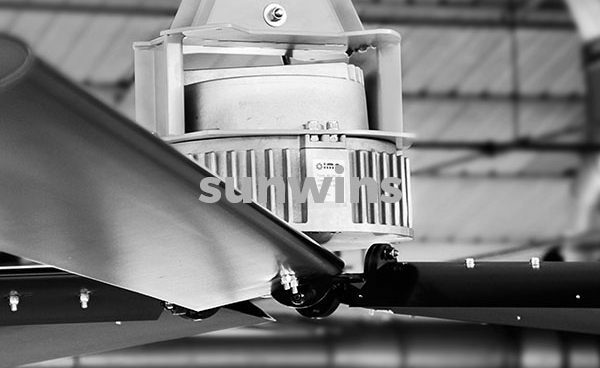 Our HVLS Fans has 15 years’ service life. Our industrial HVLS Fans are different from other manufacturers for that double external load bearing designed by ourselves, and extend oriented distance of fan, avoid reducer from axial force, prevent oil spilling and to extend the service life. Evel HVLS ceiling fan take advantage of efficiency, pacification, electronic brushless motor reliability, and use impeller studied using most powerful fluid dynamics software.